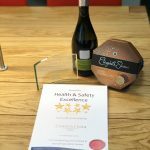 On Thursday 14th March, Steve Whitworth our Head of Compliance, attended HCS Safety 9th Annual Membership Forum, which was held at the Hilton at the Ageas Bowl in Southampton. It was a great opportunity for all members to come together and discuss the previous year and the year ahead. 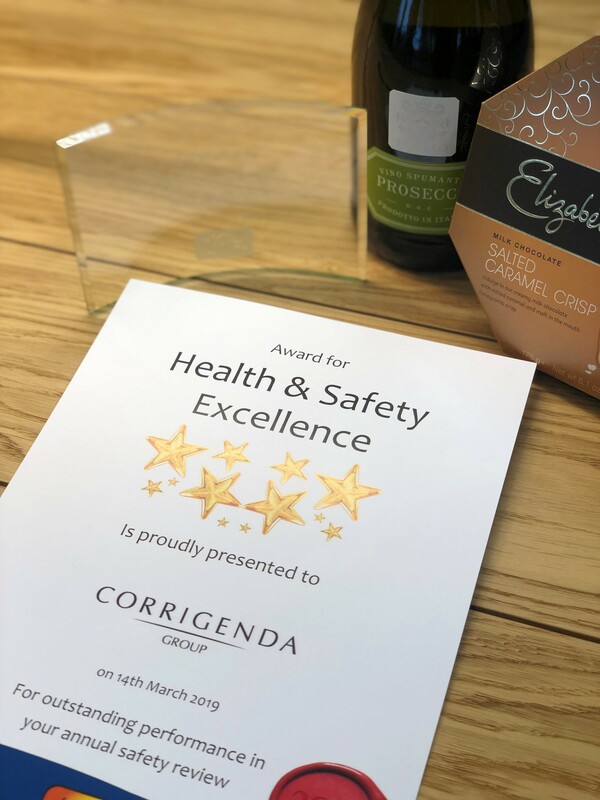 As well as discussing health and safety news, updates, accident trends and mental health issues; we are pleased to announce they we were given a Health and Safety Excellence award for our outstanding performance in our annual safety review. A fantastic achievement by all, Congratulations! 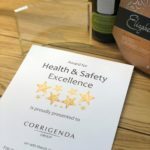 Corrigenda are looking for subcontractors and supply chain partners, to work with our Projects and Maintenance teams across Hampshire and Surrey. Get in touch today to speak with our Procurement team and be set up on our company approved supplier list. Corrigenda have introduced a new vehicle to its fleet. This time we have opted for the BMW i3 and are very happy with the new electric addition. So, what will you be doing on Tuesday 22nd May? We will be exhibiting at this years Hampshire Meet The Buyer event at the Marriott Hotel in Portsmouth, why not come along? This combined expo and conference provides your company with an opportunity to meet buyers with contracts to award. The event has several buyers now that are seeking to speak to skilled trades, builders, fire and security, UPVC installers and many more. They are actively seeking more companies to go on their supply chains. We are looking for skilled trades, training companies, consultants and those that wish to supply to/within the engineering, construction and tech markets. Portsmouth City Council and the University of Portsmouth are both in attendance with their Procurement departments. The University has a £400mn Estates Masterplan that is currently being rolled out. As well as this contract win: www.hampshiremtb.co.uk/contract there were many smaller wins at £6k for a promotional company and £12k for an IT company and many more below the £5k threshold. Uber, Grant Thornton, DMWR Architects, University of Portsmouth and Portsmouth City Council – subjects in the short conference sessions will include: GDPR, BIM Modelling, Business Growth and Funding, Autonomous Vehicles and much more. This is ALL included in the price of the ticket. The event also provides a mobile phone app to connect people via their Linked In profiles and this is available one week before the event to attendees. We look forward to welcoming you to Hampshire Meet The buyer event, on the 22nd May at the Portsmouth Marriott. Please book now! As we welcome in the New Year, you may be thinking that it is time for a refresh and a change. You probably set yourself a few goals that you want to achieve; it might be to shift that bit of extra weight that made an appearance in December or start seeing parts of the world that you have not yet visited. Why not start with your new career? We at Corrigenda believe that one of the most important elements of a successful service company is the people. Through a diverse range of training we aim to provide all our employees with the appropriate knowledge and skill to exceed in their roles. Whether you’re delivering a service for one of our clients or multi-tasking in one of our offices, we guarantee you’ll thrive in a friendly, challenging environment devoted to bringing our customers the best facilities services in the region. Visit our jobs page today to take that first step towards your new career and have a look at the exciting vacancies that we currently have within our teams. We are always on the look out for new talent, so why not send us your CV today anyway and we will get in touch with possible opportunities. Today we took part in The World’s Biggest Coffee Morning and had a company bake off! This was judged by our two Directors who had the delight in tasting every cake. Congratulations to Sue in our company compliance team who won first prize! Well done to everyone who participated and donated to this worthy cause.